NEW YORK (AP) — Joel Embiid is no longer just trusting the process. Now he’s talking about the playoffs. 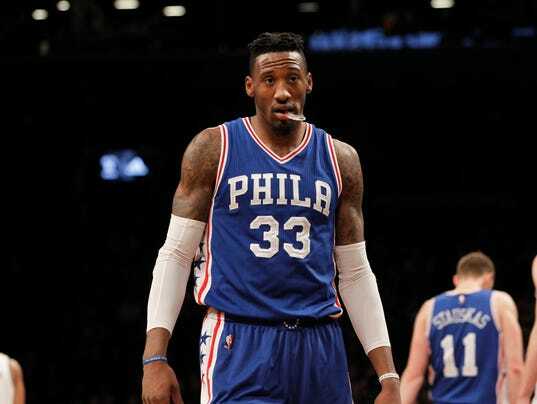 Embiid scored 20 points and the Philadelphia 76ers earned their 10th victory to match their total from all last season, beating the Brooklyn Nets 105-95 on Sunday. The 76ers broke it open with a 17-2 surge in the fourth quarter to win the matchup between the NBA’s two worst teams and improve to 10-25 in their first season with former lottery picks Embiid and Dario Saric. They were 10-72 in 2015-16, just off their own record for worst finish in the 82-game schedule. Embiid has looked at the standings and seen the 76ers are eight games back of eighth place in the Eastern Conference, and believes that should be a goal.